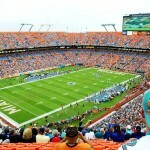 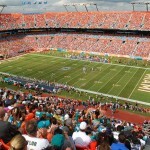 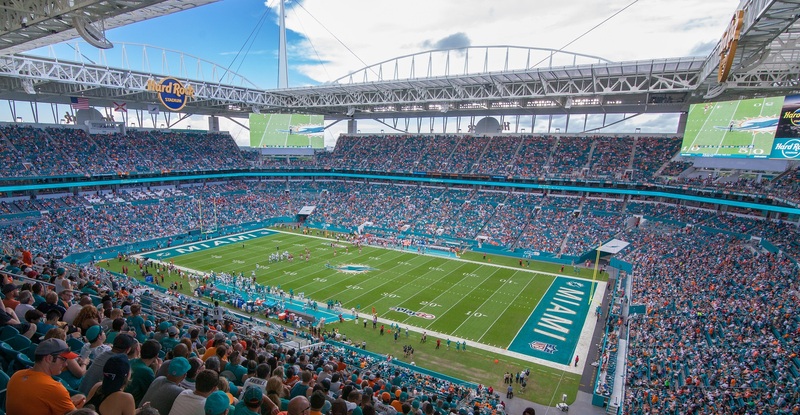 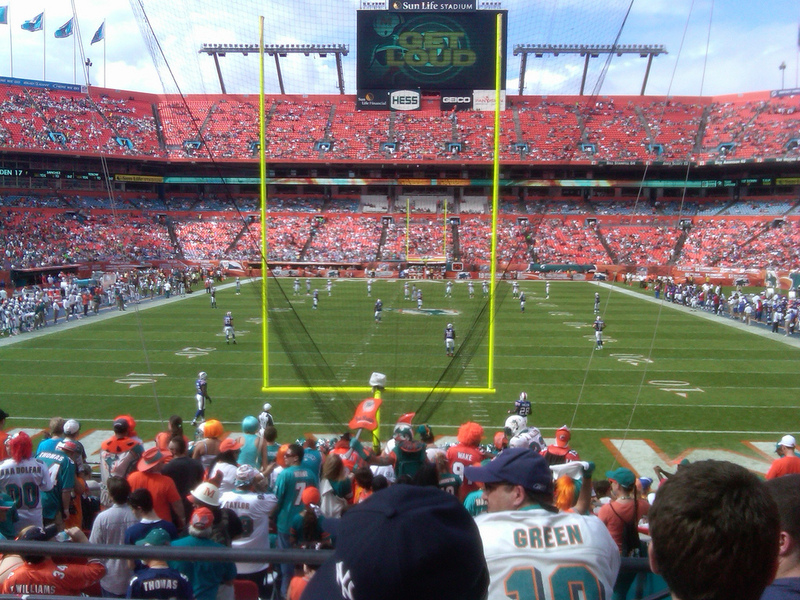 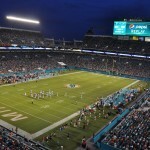 For decades football has been a part of the Miami landscape as the city is the home of the Dolphins (NFL), Hurricanes (NCAA) and has hosted nine Super Bowls and countless NCAA football championship games. 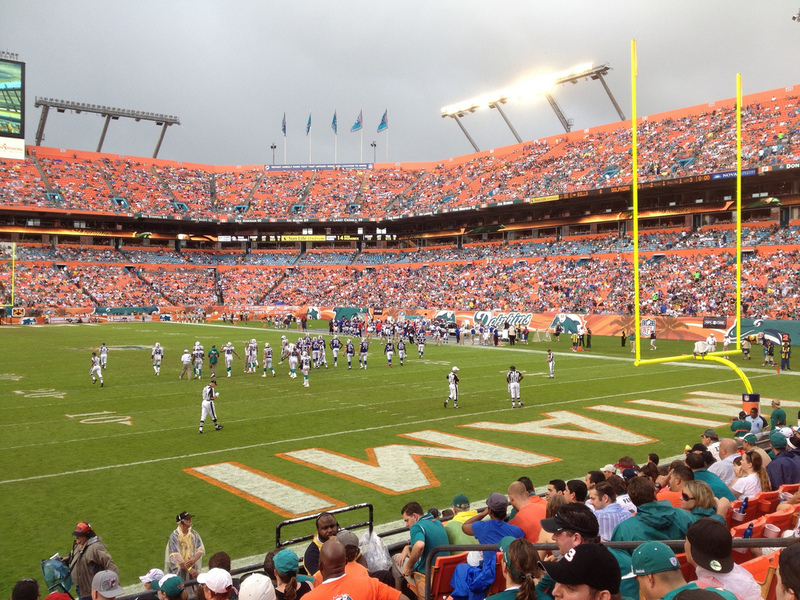 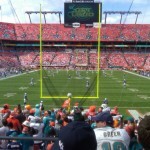 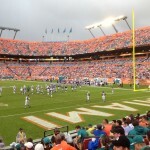 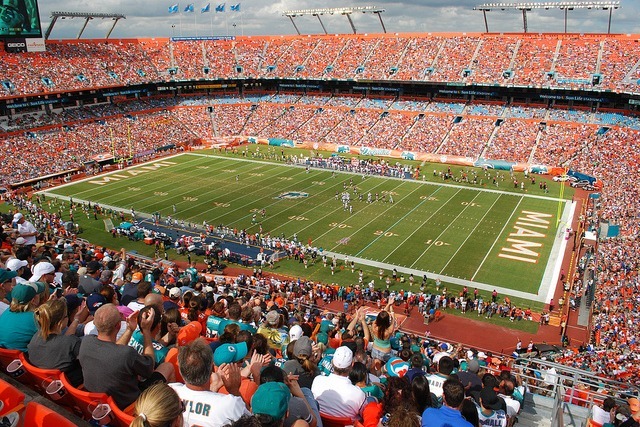 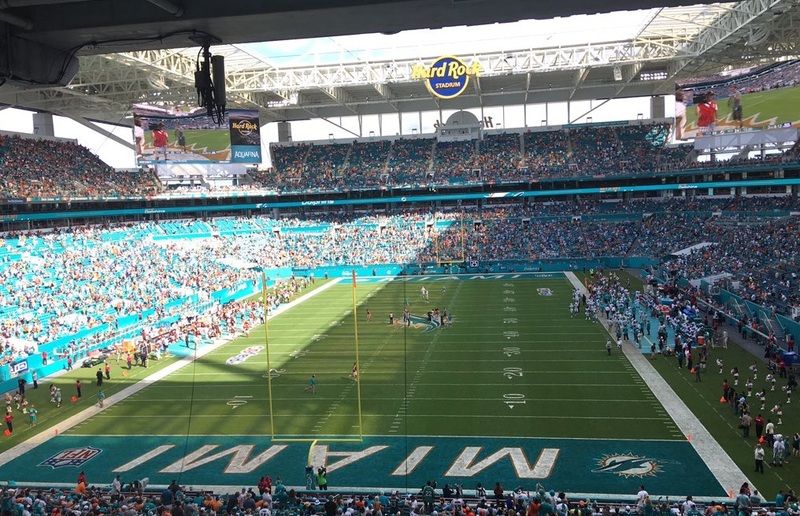 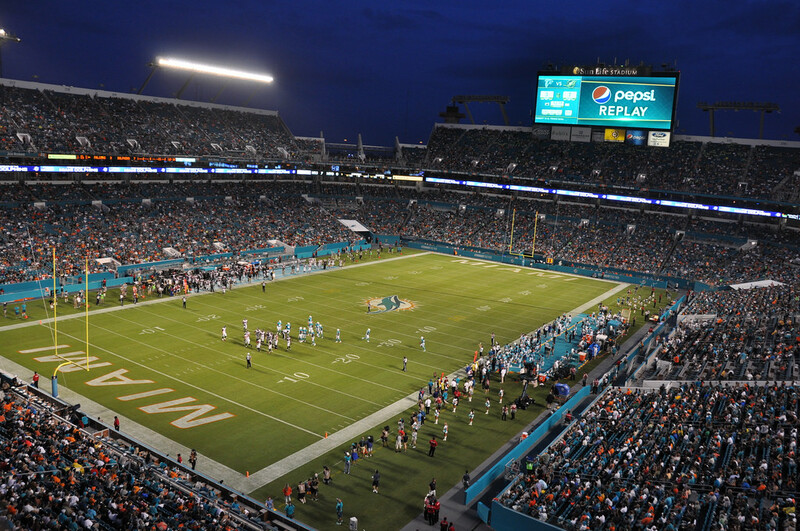 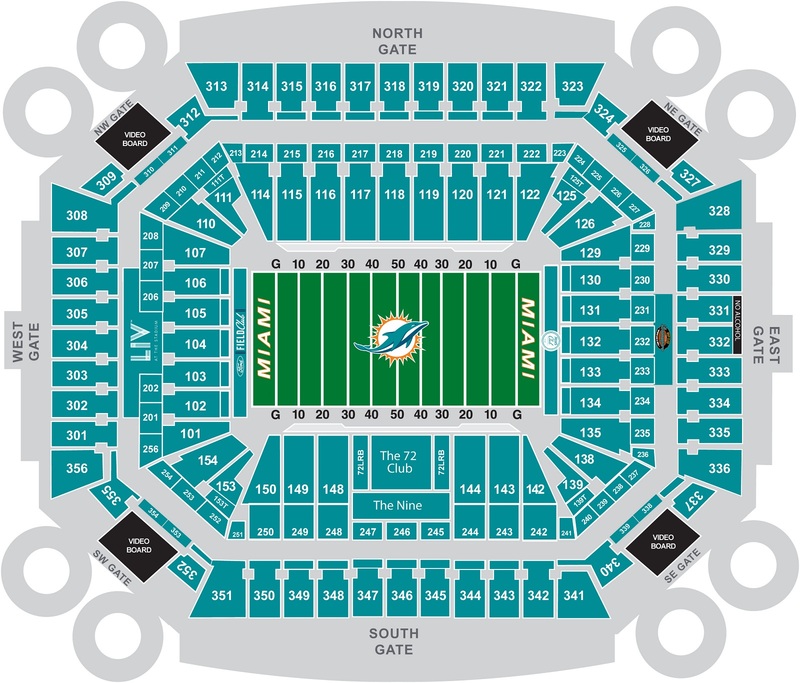 The stadium, today known as Hard Rock Stadium, has been the site of many great football games and the Dolphins since 1987. 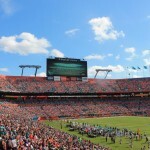 It has had more than a half-dozen names since opening and today looks dramatically different after a massive makeover completed before the start of the 2016 season. 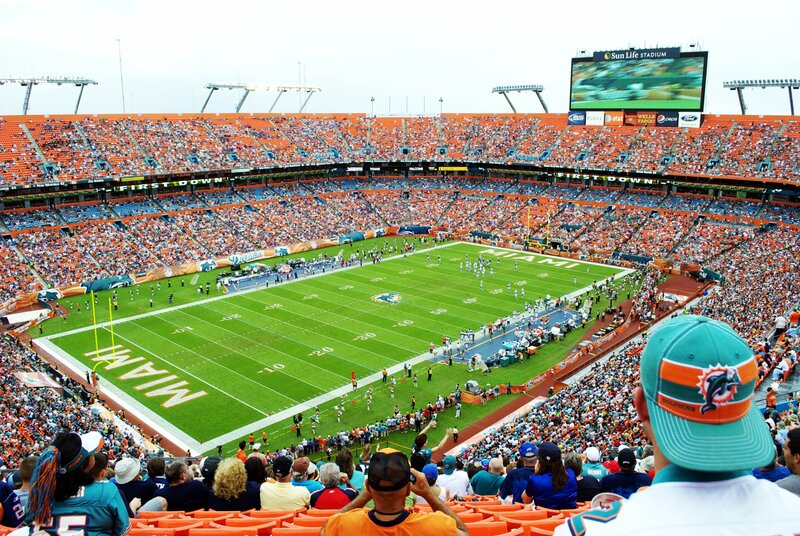 The history of the Dolphins dates to 1966 when the team joined the NFL as an expansion franchise under the ownership of Joe Robbie. 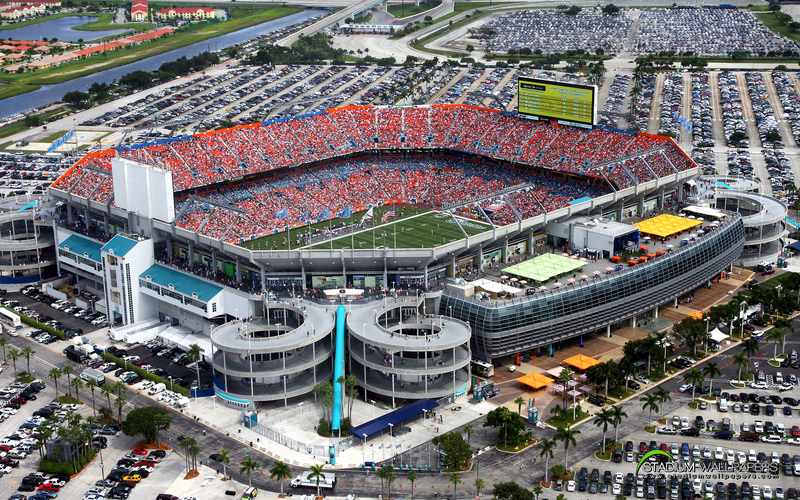 They played at the Orange Bowl, a 72,000 seat stadium they shared with the Miami Hurricanes (NCAA). 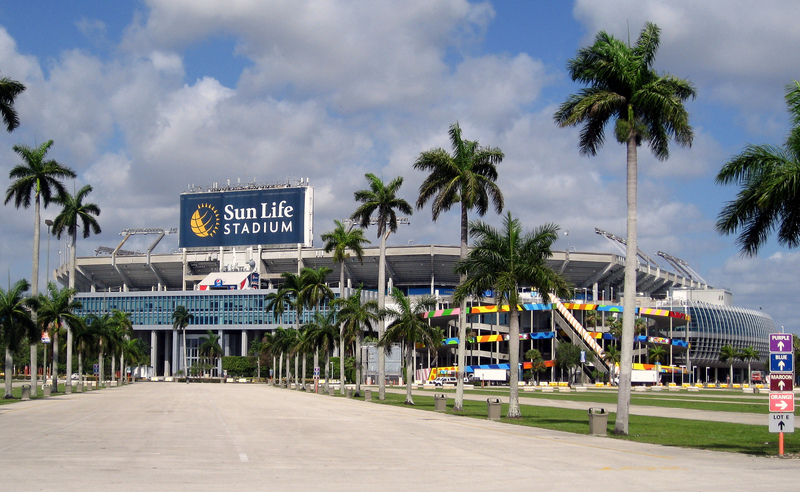 In the late 1970s and early 1980s after playing at the Orange Bowl for two decades Joe Robbie began lobbying for a new stadium for his team. 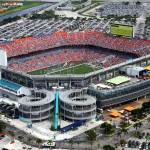 After voters continually rejected tax increases for a stadium to be built, Robbie decided to build the stadium himself. 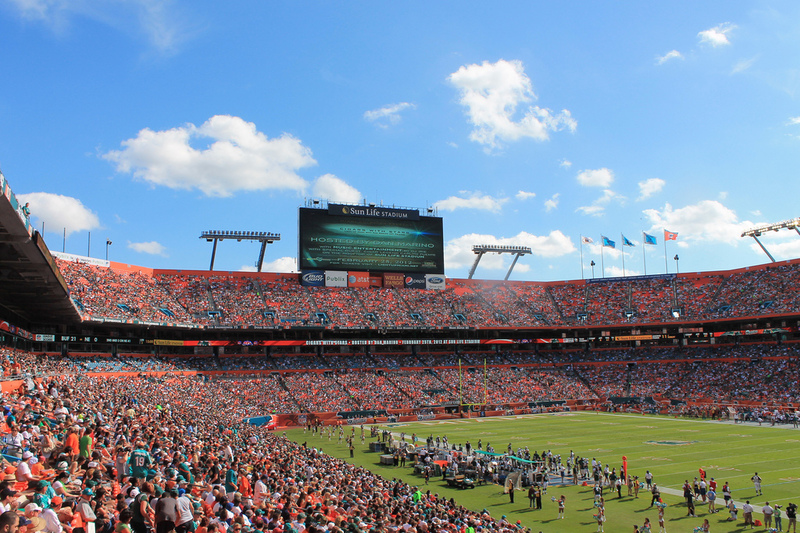 Funding for stadium construction came from luxury suite and club seat sales, private funds and long term agreements with season ticket holders. 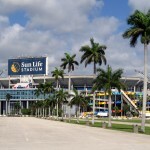 Construction began in December 1985 and was completed in under two years.